A wide range of caps for closing open-top empty cartridges/columns, to use as a single barrel reaction vessel. Caps are available for vials ranging from 1-150 ml. 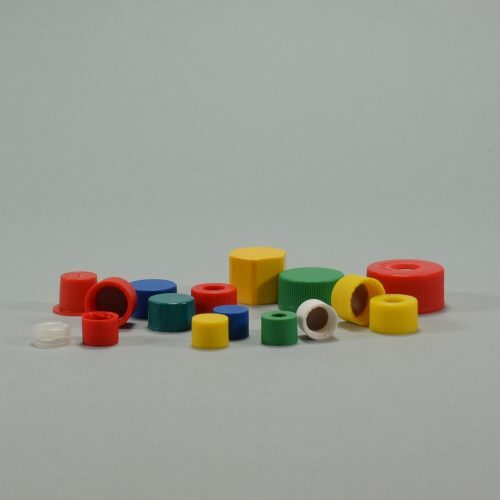 Caps come in different types (screw, crimp, snap), a range of colours, closed or open for piercing applications with different type of (optional PTFE) liners. Caps are often delivered together with the vials but can also be provided seperately. We will find out which caps fit your vials and needs best.